Have you watched the TODAY show yet this morning? If you’re a fan of the show, you’ll love their daily deals. Every morning at 10 a.m. EST, TODAY launches exclusive discounts on everything from skin care to accessories like purses and portable chargers. 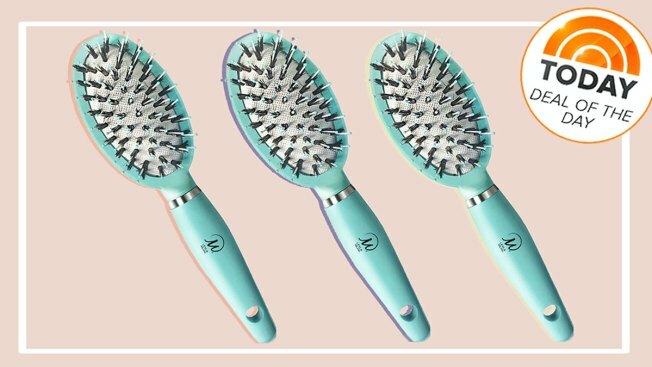 This morning’s deal is 50 percent off the Mini Miracle Brush from Leyla Milani Hair. This travel brush is great for tacking tough knots and smoothing hair on-the-go. To sign up for alerts on these exclusive deals send a message with the words “Get Started” to the Shop TODAY on Facebook or sign up for our daily Stuff We Love newsletter here.